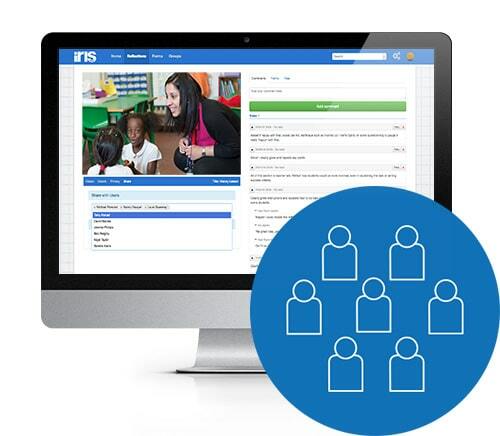 Permission-based sharing with individuals or groups makes teacher collaboration cost-effective, easy and secure. Our platform opens doors within and between organisations, making sharing teaching and learning with peers, coaches and mentors quick and easy. 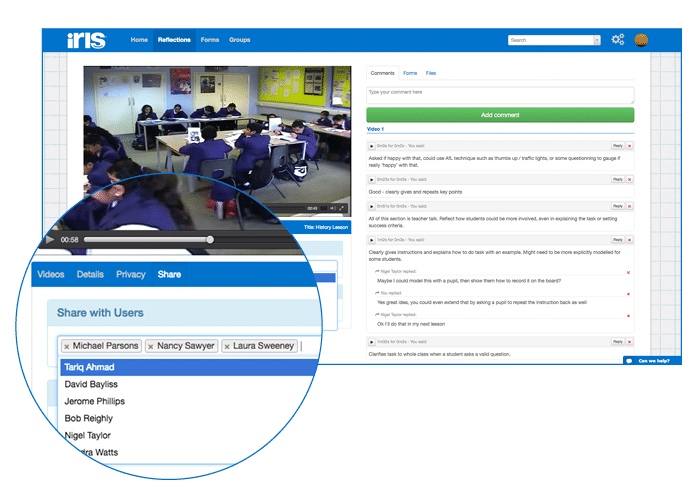 Easily share video clips with peers to model good practice and spread ideas, generate discussion or gain contextualised feedback on teaching and learning. Changed your mind? Make your video private again with one click. 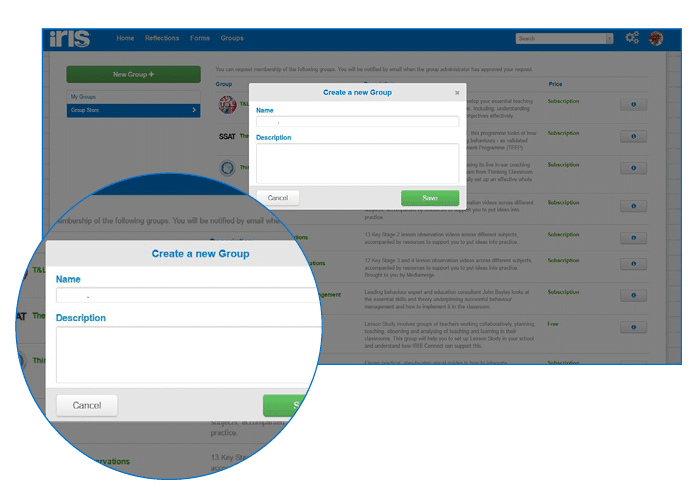 Create collaborative Groups in IRIS Connect for just about anything. 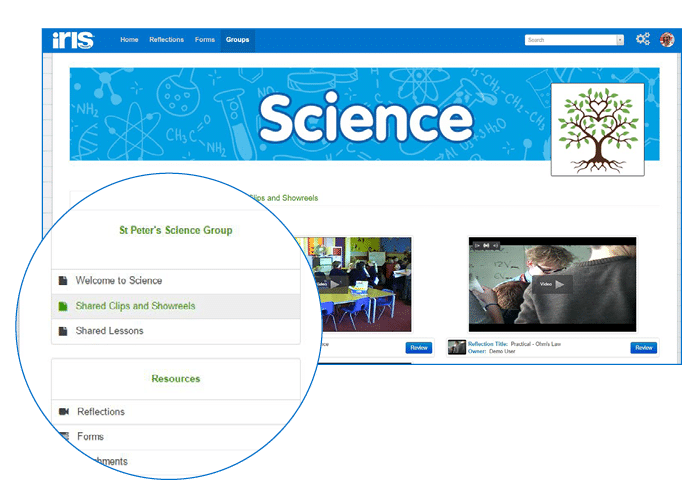 Share lesson clips and resources privately within a trio, build a bank of shared practice with your department or engage with a lesson study project across multiple schools. Use Groups to create a common vision of teaching and learning excellence across an academy trust, provide easy access to teaching school resources or simply connect a group of school leaders in one accessible, secure place.